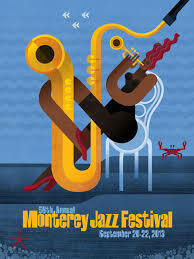 We are excited to be heading out to the Monterey Jazz Festival to perform and hear tons of great music! Check out the BIJQ’s set Saturday Sept 21st at 4:00pm on the Night Club Stage. Click here to view the BIJQ on the Monterey Jazz Festival website. We had a great time last week with guest artist, Mike Allemana. Mike worked with the BIJQ and gave a lecture about Von Freeman about what it means to apprentice with a jazz master. Mike wrote a nice short post on his website about his visit. Check it out here. Mike shared with us his approach to odd-time meter playing, rhythmic modes, negative harmony, and all things in between. Inspired! A concert celebrating Darius Milhaud and his student Dave Brubeck. Performers include the Stanford Woodwind Quintet, Darius Brubeck, and students from the Brubeck Institute at the University of the Pacific. La cheminée du roi René (The Fireplace of King René), Op. 205, is a suite in seven movements for wind quintet, composed in 1939 by the French composer Darius Milhaud. The suite is an adaptation of the music that the composer wrote for the 1939 film Cavalcade d’amour of Raymond Bernard. It was first performed in 1941 at Mills College. The screenplay by Jean Anouilh and Jean Aurenche is set in the court of René I in the fifteenth century and includes three love stories with incidental music by the composers Milhaud, Honegger and Désormière. The castle and the court of René I, count of Provence, were situated in Aix-en-Provence, birthplace of Darius Milhaud who was always fascinated by the history of the king, his code of chivalry and the legendary tournaments that took place at his court. Although the composer studied several musical manuscripts of the period, the writing of the La cheminée du roi René shows very little evidence of this and the piece bears the characteristic hallmarks of the rest of Milhaud’s music. All the movements are very short, with an alternation between “nonchalant” and very rapid tempi: a collection of medieval miniatures. The shortest movement is less than a minute in length, while the longest is only three minutes long. This gives the impression of a single piece, in just one breath, even more so because the musical atmosphere changes so little between different movements. In all the suite lasts around thirteen minutes. La maousinglade, a discrete sarabande with the theme taken up by the oboe, is particularly striking. The Joutes sur l’Arc is replete with renaissance ornamentation, while the hunting horn is evoked in the Chasse à Valabre. The final Madrigal, calm, restful and very neoclassical, brings the work to a melancholy close. The three movements of the Quintet all demonstrate Milhaud’s characteristic bright and brittle polytonality, or the simultaneous use of several keys, a technique that he devised early in his career. They also exhibit an unusual method of recapitulation: the second half of each movement consists of fragments of the first half shuffled into a new order, and varied by small shifts in the pitches of each part. The first movement, which has the texture of a web of contrapuntal lines in interlocking rhythms, begins with a strident chord of five instruments’ parts, and ends with a similar but less abrasive chord. The second movement is in pastoral 6/8 meter, with the lines decorated by ornate arabesques; the two complementary halves are separated by a short slower interlude headed “Choral.” The movement begins with an unaccompanied minor-key clarinet melody, into which the other instruments intervene explosively, and ends with the same melody in the major on the oboe, joined by the rest of the ensemble in a final diminuendo. The triple-time finale has textures including some imitative and parallel writing between different parts, and makes the most of Milhaud’s “copy, shuffle and tweak” methods of recapitulation: the first 57 bars all return, reordered and varied, as the next 57, before an added three-bar coda rounds off not just the work, but also a distinguished career. An odd word, ‘polytonality’, often came up in interviews with my father in which he was asked about what he learned from Milhaud or about his own influence on other jazz musicians. ‘Polytonality’ seems a pretentious way of saying huge, thick chords full of strange notes and this is one of the critical clichés one hears about Dave Brubeck’s piano playing, an aspect of it anyway, but polytonality simply means playing in different keys simultaneously. It is a twentieth century innovation in European art music, but one definitely related to the sound world jazz inhabits. For Dave, this was a consistent and inspiring pathway to individuality and originality, which he self-consciously followed both as an improviser and as a composer, so polytonal harmony was indeed one of Brubeck’s life-long stylistic hallmarks and was the main lesson he learned from Milhaud. Milhaud also taught counterpoint, arguably the most demanding and cerebral skill a composer has to master and was, despite his well-known good humour and open-minded attitude, strict about forms, norms and rules. His teaching emphasised building a strong technical foundation rather than replicating music from the European canon. What students did with their training was up to them. Dave often said that it was Milhaud who told him to be a jazz musician, despite his having other aspirations when he enrolled for Milhaud’s post-graduate course at Mills College after WW2. Fortunately, he did not strictly follow his mentor’s advice and after achieving international status as a jazz pianist, he returned to composition. Most of his creativity after 1967 reflected the training he received from Milhaud, which was comfortably combined with decades of high-level performance and innovative jazz. When we talk about students and their teachers, we expect to find some kind of continuity of ‘style’ that connects them. In the case of Milhaud and Brubeck, some of this can be found in the Octet recordings of c. 1948. (This octet was an ensemble of Milhaud’s composition students, in effect, a kind of laboratory band.) Milhaud certainly taught skills that underpin composition in virtually any medium, but he didn’t dictate a style and not much in Brubeck’s mature work suggests he was emulating Milhaud. The great legacy of Milhaud’s teaching at Mills was his encouragement of distinctive mid-century American voices. Both Dave Brubeck and Burt Bacharach, to name his most famous students, achieved this. TRITONIS – An extreme example of polytonality exploring parallel tritone key relationships from beginning to end, but its title is actually the name of a lake mentioned in Greek mythology. Despite the complex references, I should also mention it is in 5/4 ; the underlying structure is a shape-shifting blues! RECUERDO – Also a study in polytonality but not as extreme as Tritonis; it has a folk-like melody in two keys a minor third apart, resulting in a sweet and sour flavour of major and minor. THE DUKE – Originally titled ‘Duke Ellington Meets Darius Milhaud’, it has so many modulations that it covers all 12 keys. TWO-PART CONTENTION – Like a Bach two-part invention with a very active counter-melody that gives way to a functional chord progression for jazz improvisation. WE CROSSED THE RHINE – An early Brubeck composition inspired by his experience crossing the Rhine as an infantryman in WW2. The melody sets up dissonant clashes with itself, creating a sense of danger and urgency while maintaining an austere open texture; nowhere to hide! FORTY DAYS – An anthem-like song in 5/4, with three distinct key-centres (heard separately this time) that, despite its modernity, evokes the timeless quality of ancient Jewish music.